On Wednesday night, Jimmy Page was in attendance at the Classic Rock Awards staged at London’s Roundhouse venue. Jimmy was there to accept Led Zeppelin’s Reissue Of The Year award. He arrived around 6.30 pm and was interviewed by a variety of TV and radio stations on the red carpet for about fifteen minutes. I had a quick word with him – he was very pleased to picking up the award – ”this is the end of a long journey!” he laughed -he was on great form. During the various interviews Jimmy was very much playing up his plans to be actively playing next year – see the YouTube clips below. In the seated tables in the arena, Jimmy chatted to Alice Cooper and Brian May amongst others. The award was announced by host Chris Jericho. A short backdrop film with music and visuals from the reissues was show. The other nominees were The Rolling Stones and Rainbow. Jimmy stepped forward to receive the award (to the musical accompaniment of Kashmir) and made a short speech noting how the addition of the companion audio discs had doubled the Led Zeppelin output. He left the stage to a huge ovation. 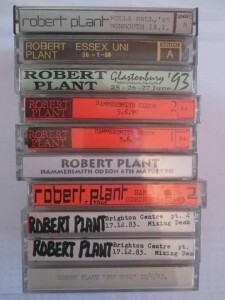 Note Robert Plant’s album lullaby…And the Ceaseless Roar was nominated in this category. The Seattle contingent is ready for the Jimmy Page Tribute on November 19th at EMP in Seattle. From left to right, Duff McKagan (Guns & Roses) on bass, Barrett Martin (Mad Season) on drums, Jerry Cantrell (Alice In Chains) on guitar, and Kim Thayil (Soundgarden) on guitar. I just gotta say, that was a whole lotta heavy in one room. 8 Led Zeppelin tunes from this particular group, and Barrett and Duff are the house rhythm section for the whole show. 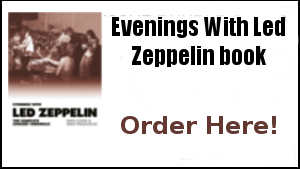 Zeppelin is the great church of rock & roll and Mr. Page is our high priest. We are honored to serve. Ice Station Vadsø er en musikkfestival som finner sted i Vadsø 10. og 11. november 2015. 44 years ago this month the fourth Led Zeppelin album emerged in a slightly mysterious manner with that enigmatic sleeve. 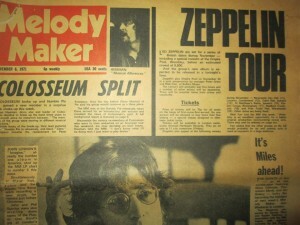 I vividly remember the excitement and anticipation of the album in the music press that month. 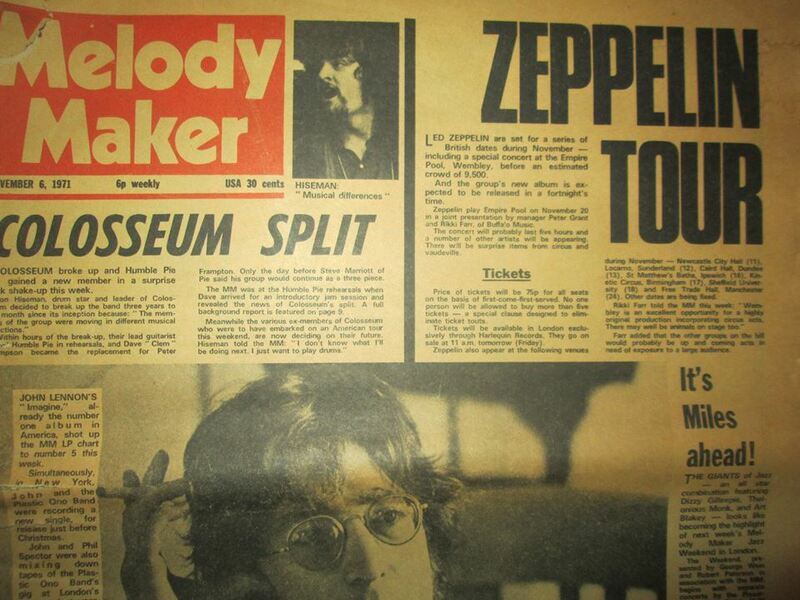 In fact the November 6 1971 issue of Melody Maker was something of an historic issue because it contained the first UK sighting the four individual symbols that would make up the title of Led Zeppelin’s fourth album. Each symbol was featured on the end of a page – a series of teaser adverts for the forthcoming album though nobody really knew it. Now I had read a recent interview with Jimmy Page in which he had explained the album title would be made up of four runes – I did notice those symbols in that issue thinking they looked very odd – but I did not realise these were the very symbols that would become such an integral and lasting image of the band. So below is the first UK sighting of Jimmy Page’s Zoso symbol…. It was about to get even more exciting for me with the prospect of attending the November 21 Wembley Empire Pool show. Tickets a mere 75p! 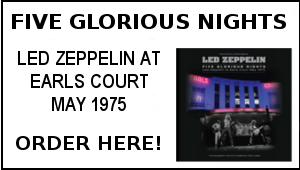 It’s fair to say that this advert announcing the second date was something of a life changer for me – as things were never quite the same in our house after what I witnessed on that cold November Sunday evening all of 44 years ago. 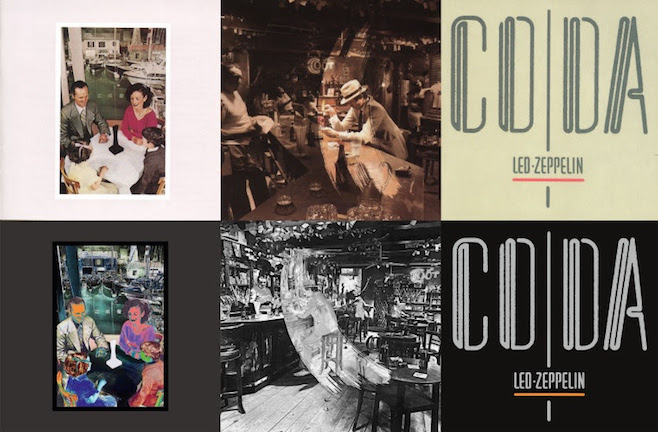 Of all their records, Led Zeppelin’s fourth album, released in late 1971, remains their listened toand admired work, and with sales of 38 million and counting it is also far and away their most successful. Featuring both the often maligned Stairway To Heaven and the widely admired ‘When The Levee Breaks’, the set is without question the most accessible of their catalogue and it continues to attract new listeners by the week. Few albums in the history of rock can rival its influence. It was a real tonic to be out and about at the Classic Rock Awards on Wednesday. It was fantastic to see and speak to Jimmy Page. 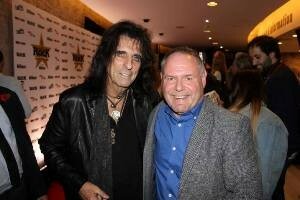 I also chatted to Alice Cooper (as one does!) – I reminded him of an interview I did with him at the Reading Festival in 1988 and his memory was well good – remembering the pelting that Meatloaf got on the same bill. I also had a few words with Bad Co’s Mick Ralph’s – he told me he was hoping there would be further Bad Company reissues to follow. It was also great to catch up with Classic Rock newsman and all round legend Dave Ling, PR Peter Noble, Chris Goodman and Julian at Outside organisation , plus Steve Hammonds, Hugh Gilmour and Lisa Bardsley. All in all a top night (and day) though an exhausting one. It was back here in the early hours to pick it all up. Pleasingly Janet’s mum Bet is out of hospital – we are now trying to get into something of a routine in overseeing her daily carers etc which has proved a bit tricky as there has been inevitable teething problems. Elsewhere there has been some good productivity on the TBL 40 text and design. This week Mick and I signed off an excellent two page Robert Plant tour overview supplied by US scribe Stephen Humphries. It really is an asset for the TBL mag to have such quality input -Stephen is one of the best rock journalists around and his perceptive views on Robert’s recent activities are absolutely spot on. 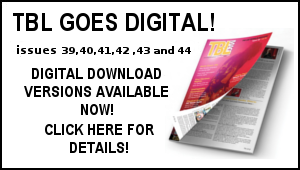 We have also been wading through the 9,000 word history of the TBL early years – this piece has proved hugely cathartic for me in recalling the naïve and innocent initial foray into the world of the printed word – and my experiences in establishing the TBL mag and chronicling the world of Led Zeppelin. It’s all shaping up and the plan now is to plough on and get an end result on it all as soon as possible. 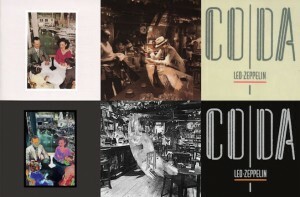 On the player, the Presence, In Through The Out Door and Coda reissues – suitable inspiration for the TBL 40 Final Three feature ,The Rolling Stones Get Yer Ya Ya’s Out, Bob Dylan Like A Rolling Stone single just out to tie in with the momentous Bootleg series Vol 12 Cutting Edge release and The Beatles White album. With the release of the aforementioned Dylan set and The Beatles 1 album with the additional DVD/blu ray disc of original promo films, it was a definte back to the 60s vibe in the record shops this week – note this pic here of the Fopp shop on London’s Cambridge Circus. Looking at all that made me slightly nostalgic for the old retail days of yore as this is the sort of stuff we used to have a field day with back in the Virgin/Our Price stores. It’s certinaly encouraging to see some quality physical product on sale. Here’s a very nice find that I came across in a local charity shop recently amongst a crop of Jim Reeves RCA singles. 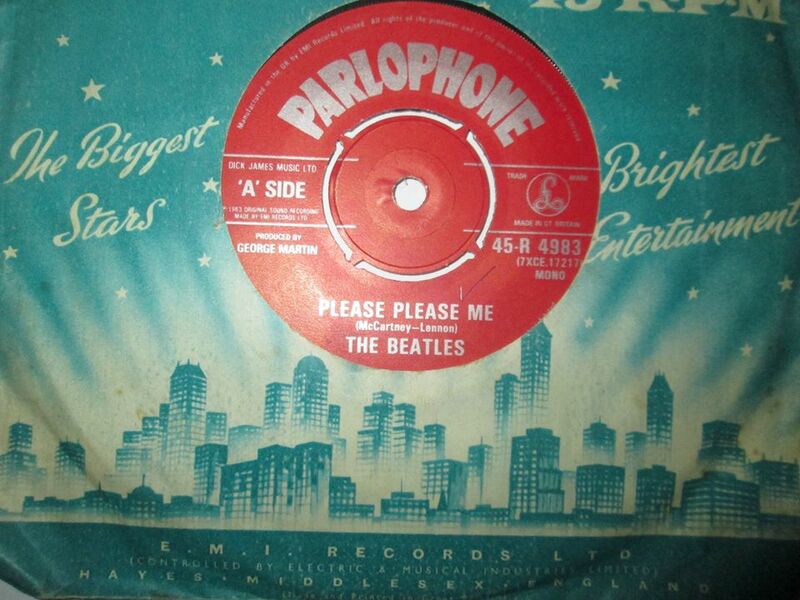 The Beatles Please Please Me/Ask Me Why single on UK red Parlophone label – at the time of release in January 1963, Parlophone were in the process of switching their label design to the more familiar black version. Therefore early pressings of the single came on the red Parlophone label before it was switched to a black version not long after release. This pressing has unusually large type size and note too the McCartney/Lennon songwriting billing – this was switched to Lennon/McCartney after the release of the Please Please Me album. Original red copies are listed as £100 in mint condition. Having put this on the DL/TBL it turns out this pressing is actually a reissue from January 1983 – not quite the cash cow I thought – oh well I’d have only spent it all down the Vinyl Barn! It was still a bargain at 50p! Talking of which – last Saturday we had an excellent time at the Bedford Pop Up Record Shop at the Ents Shed in Bedford. This event is staged around three times a year. It combined a regular record fair (including Darren Harte’s Vinyl barn stall) with live music throughout the day -plus there was a bar on site. 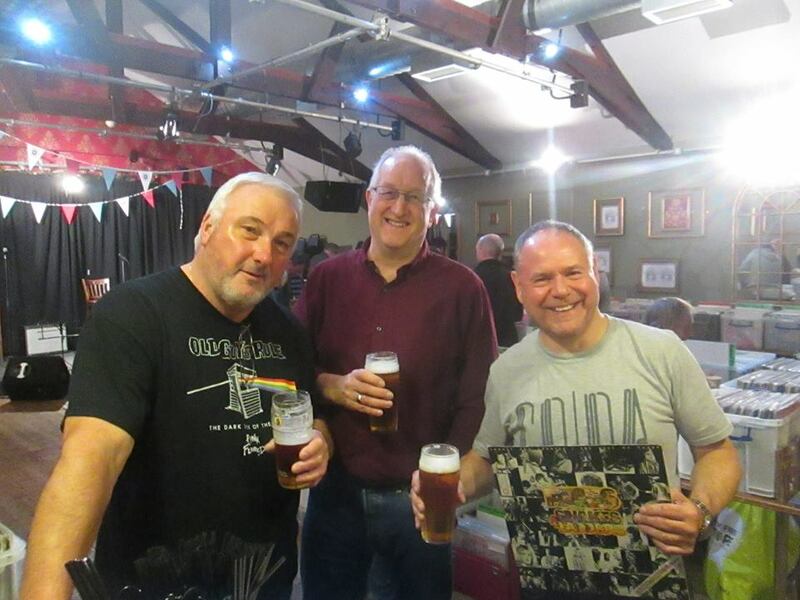 The pic here is me with Tom and Phil – a beer, a record fair and The Faces Snakes & Ladders album I’ve been looking for – which Phil noticed. What was not to like indeed! Lie music included the excellent My Girl The River – a big hand for the organisers of another top event. A little tale about the above: The good lady Janet told me a few days ago that she had heard a record played on the Steve Wright Radio 2 afternoon show that sounded like Led Zep. When Janet tried to hear who it was by Steve Wright had said ”Guess Who”. I quickly twigged this was going to be The Guess Who’s massive 1970 US hit American Woman. This does indeed have a resemblance to the riff of Whole Lotta Love . The Guess Who line up included Randy Bachman who went on to form Bachman Turner Overdrive. When I saw this copy of the American Woman single in the racks I had to have it – it was meant to be! The Rolling Stones – The Stars In Your Eyes They Never Lie – 1973 bootleg album – I bought this from the tiny record shop Sounds Ahead in Marlboro Court at the time bit it has gone missing over the years. it’s great to have it back. 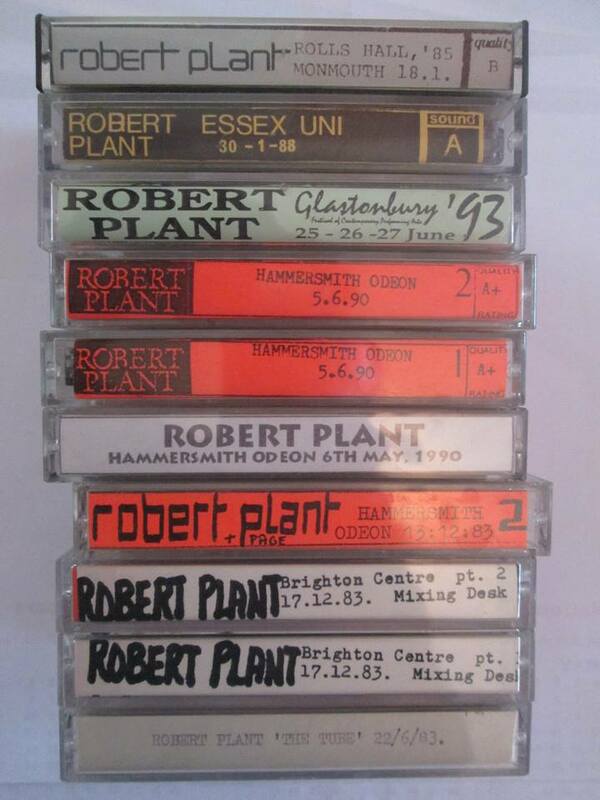 Meanwhile in the land of cassettes…some Robert Plant live cassette faves from the DL collection..there’s a whole lot more! The Record Fair action switches to London this weekend for the annual two day Musicmania Fair staged by VIP Fairs. This is the biggest UK fair of the year. As mentioned last week, plans to have a stall selling the earls Court book have fallen through but I aim to be in attendance and look forward to seeing all that can make it along. Dave Lewis/Gary Foy – November , 2015.
your site is always worth a read. The IV info is quite detailed. I have a number of releases of this on vinyl. One I ‘borrowed’ from my sister in 74 (must be an early issue surely)- another release further down the line to replace my sisters now worn out album, along with the HMV box which was released for some reason which escapes me right now. I’ll have to have a look to see which one’s I have. (All UK). Not to mention the myriad CD versions I own. Probably the best album Zeppelin released IMO. Hi Dave, Interesting regarding Zeppelin 4. I have the first pressing, 2nd label version these days. Would have had the first pressing as I remember going to W HSmiths on release and hunting for it before asking an assistant! 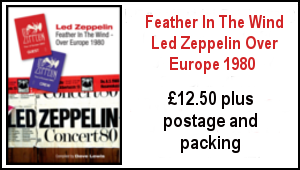 I would have sold it in the 90s at Brighton Record Fair in order to fund buying all those Zepp bootleg cds.